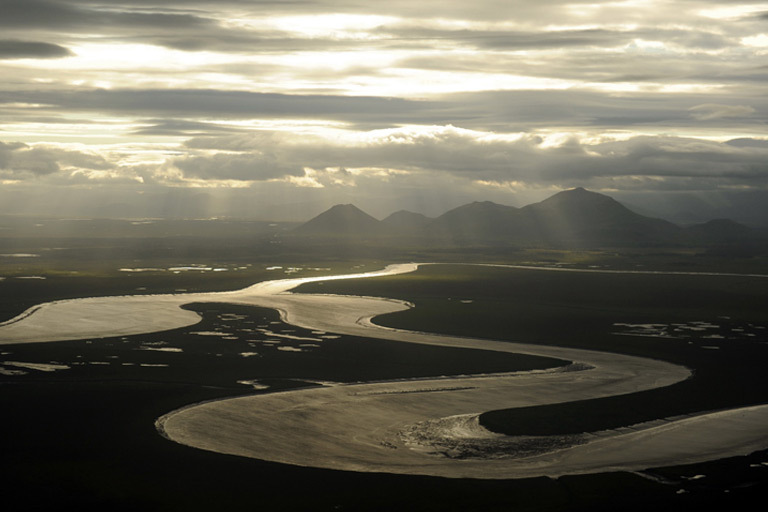 From volcanoes to tundra to a 77-mile-long lake, the spectacular landscape of Bristol Bay flourishes with wildlife. Brown bears outnumber people five to four. Clean rivers converge in the world’s largest commercial sockeye runs. The 40 million acres of the Bristol Bay region are home to 7,400 residents, many of whom maintain the subsistence lifestyles of their Eskimo, Aleut, and Indian ancestors. Wild salmon is at the heart of our region’s culture. The rivers that flow into Bristol Bay sustain tens of millions of salmon across all five species—king, sockeye, pink, silver, and chum. Other fish thrive as well, as do the orcas and beluga whales that follow the fish runs each year. The harvest of caribou, moose, sea mammals, beaver, porcupine, fox, and waterfowl support the subsistence, commercial, and sport activities of our communities, too. From Dillingham, villagers and visitors enjoy easy access to Togiak National Wildlife Refuge, Round Island State Game Sanctuary, and Wood-Tikchik State Park, the largest state park system in the United States. From black sand beaches and lowland tundra to the Taylor Mountains and Iliamna Lake, the land is at the heart of life in Bristol Bay. Reverence for the land within Bristol Bay guides BBNC’s policies and operations, too: Every square mile commands our respect; every acre deserves our protection.